What are uses of acoustics of gray whales on their northern migration and on a foraging site? What is the sonic landscape of a heavily used whale watching area for foraging whales? Is their an audible reaction to boat presence? Acoustic data was collected by an Autonomous Multichannel Acoustic Recorder (AMAR), which is positioned on the ocean floor. 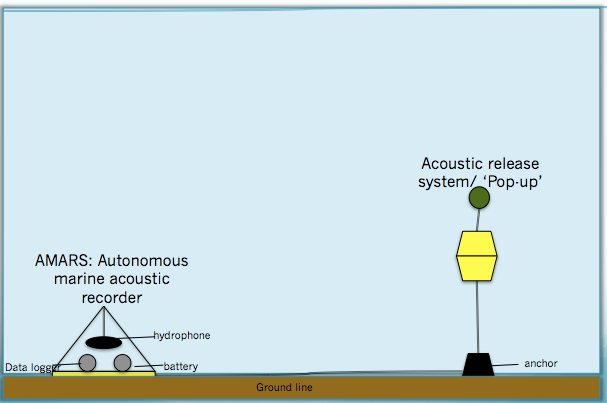 An acoustic release system is connected via a ground line to facilitate retrieval of the recorder. The AMAR records up to 32 kHz, with focus given to the lower frequencies in analysis for presence of baleen whale calls. Detection radius is ~ 10km radius. Early May til late September, ~20m water depth. 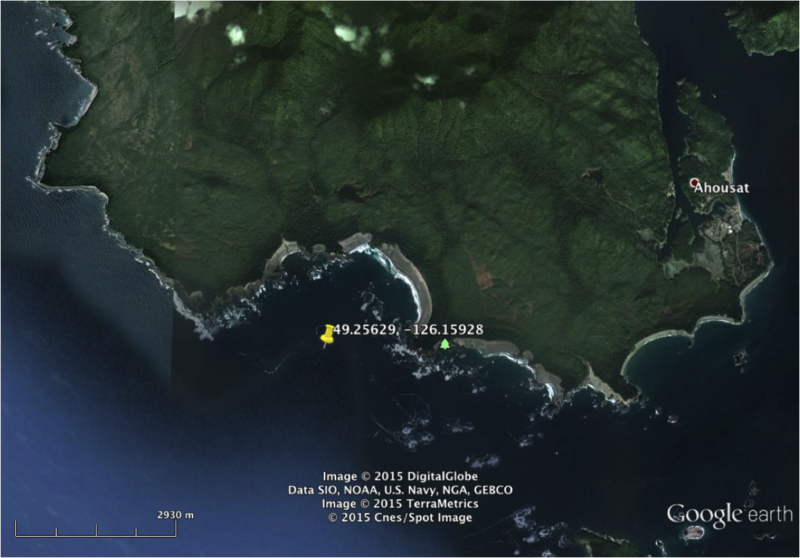 Location chosen to collect data in a main foraging and weaning bay on the south coast of Flores Island. 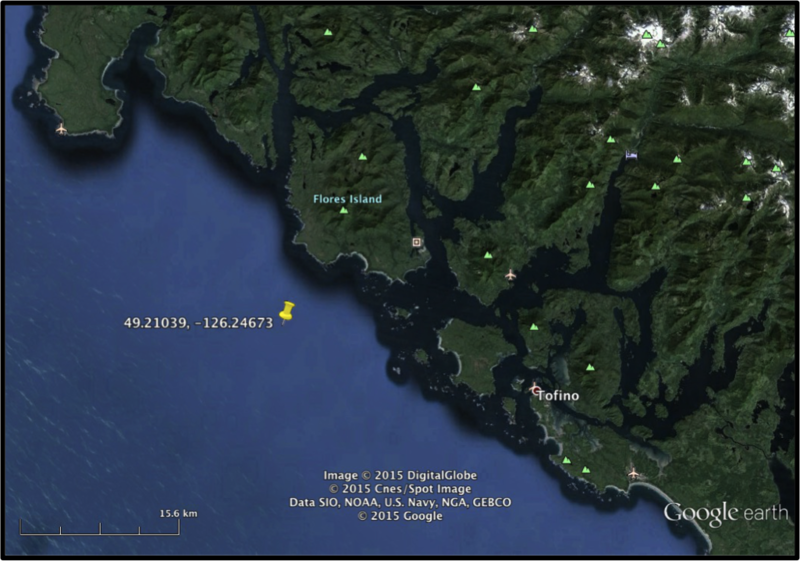 Vessel based observations were collected to give context to acoustic recordings, noting whale presence and behaviour. We are currently in the processing of analysing the data! Gray whale moans and knocks have been heard throughout as they migrate north, with some seeminly contact calls between individuals! In addition humpback whales, killer whales and sea lion vocalizations are also present. Work to quantify disturbance from vessel traffic is also ongoing. 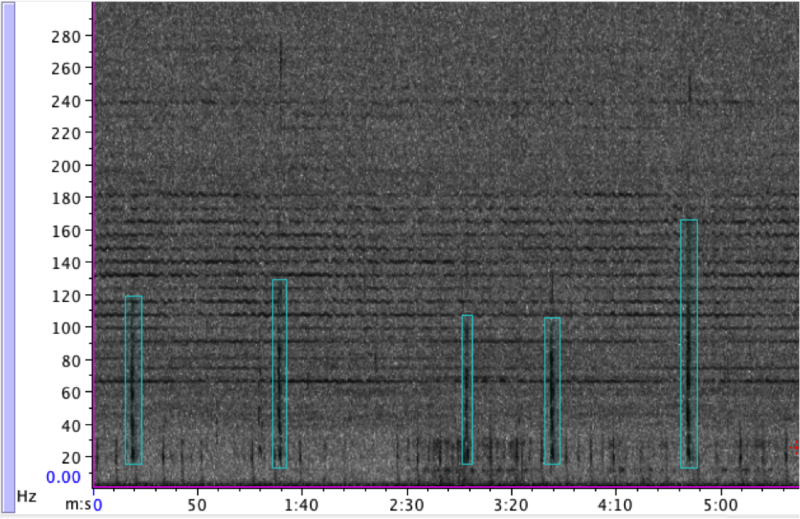 The spectrogram below shows gray whale moans outlined in turquiose, with the horizontal bands additions to ambient noise by a near-by vessel.